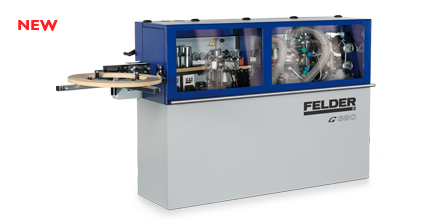 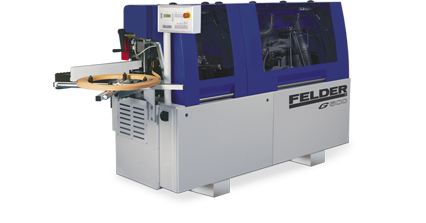 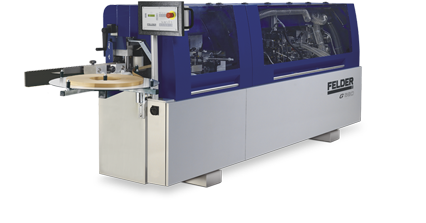 The entry level machine for professional edge processing combines top class performance and quality with a minimum space requirement and maximum price performance ratio. 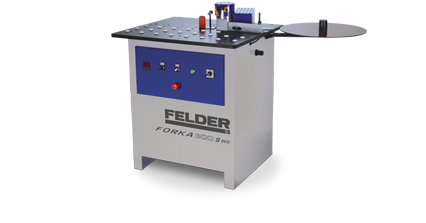 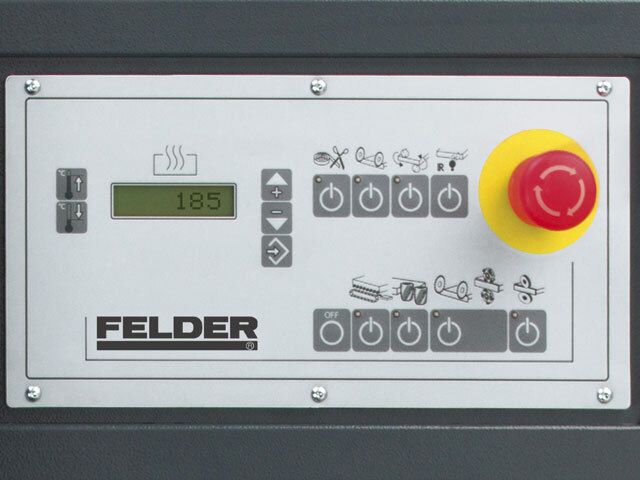 Exact workpiece feed speed, centralised control panel with LCD display and high quality aggregates guarantee maximum productivity and perfect results. 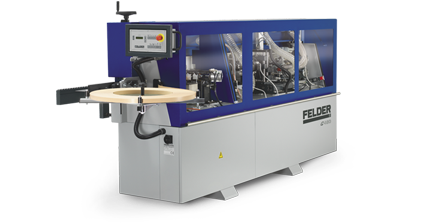 The Teflon coated glue pot has a capacity of 2 kg PVA hot melt adhesive granulate (ethylene vinyl acetate copolymers). 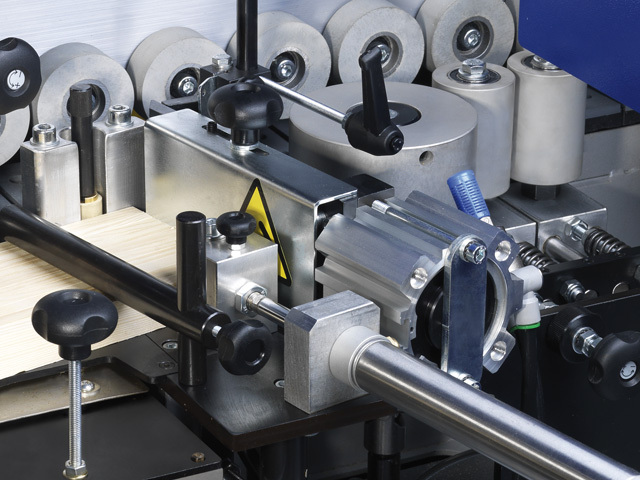 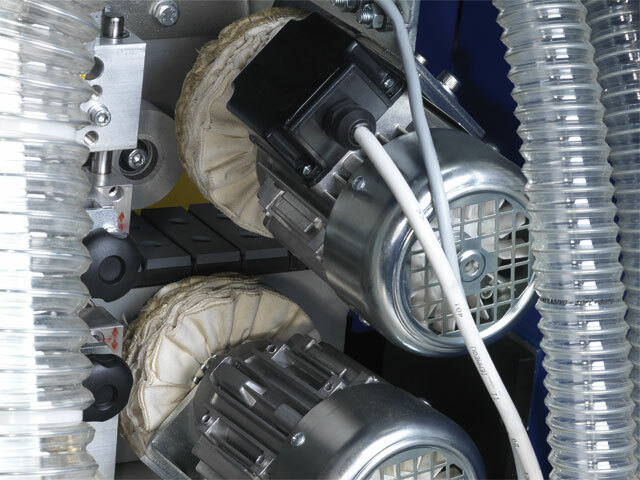 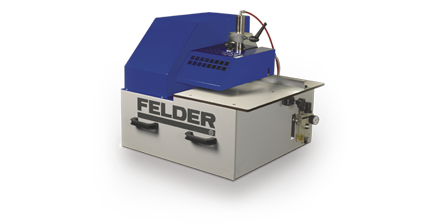 The machine is ready to operate after only 12 minutes.The fine adjustable glue roller ensures that the correct amount of hot glue is applied to the differing types of edging material. 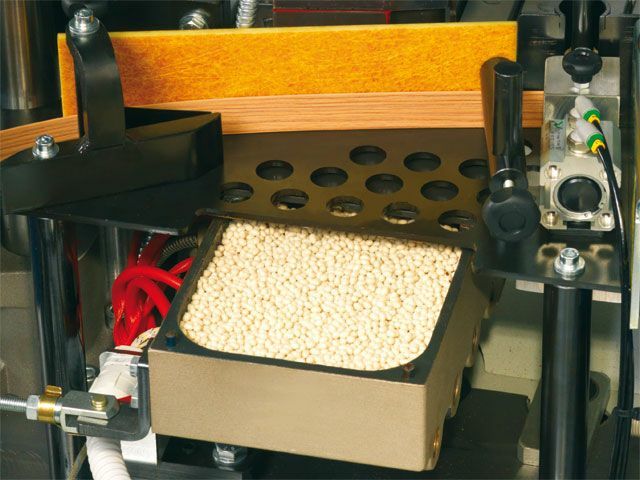 PUR (Polyurethane resin) hot melt adhesive granulate may be used in accordance with the glue manufacturer‘s processing guidelines. 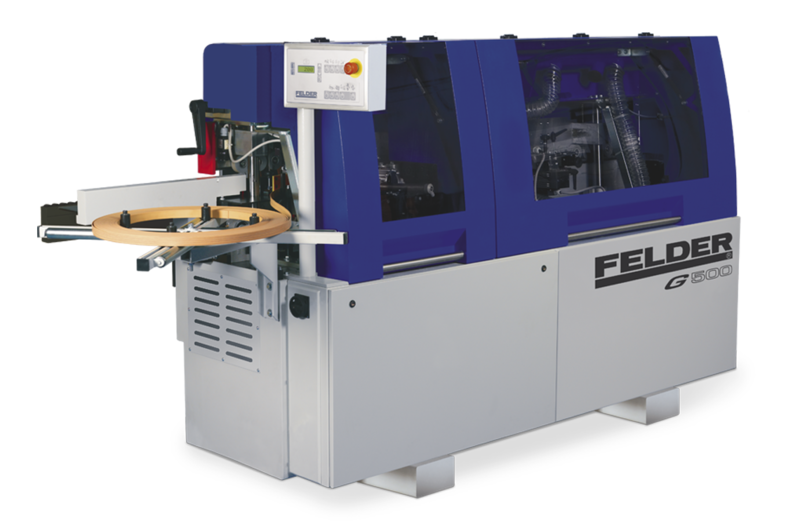 Pre-cutting of ABS and PVC edge material up to a thickness of 3 mm. 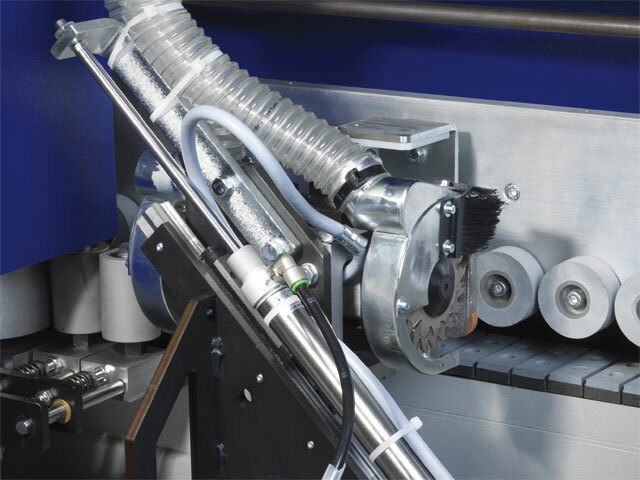 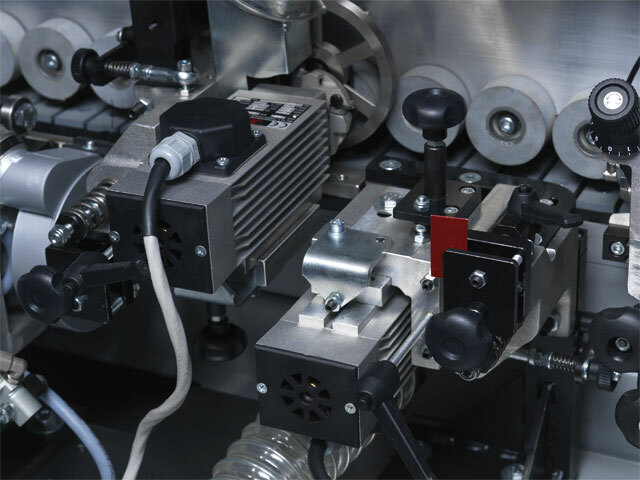 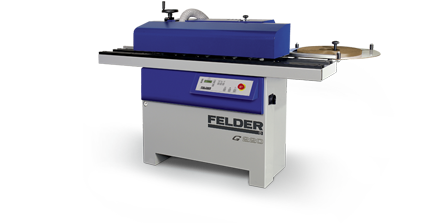 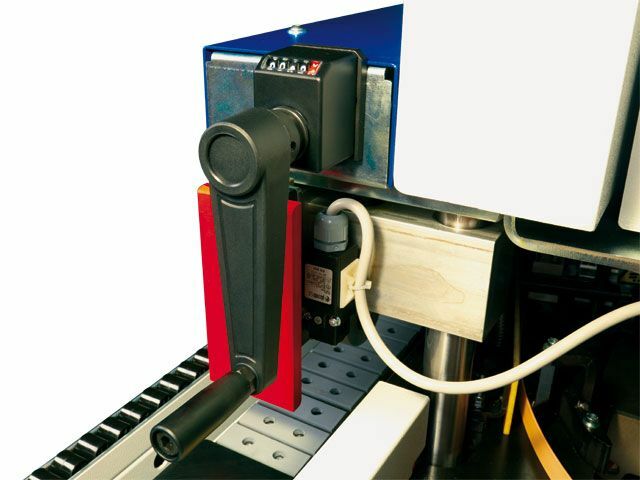 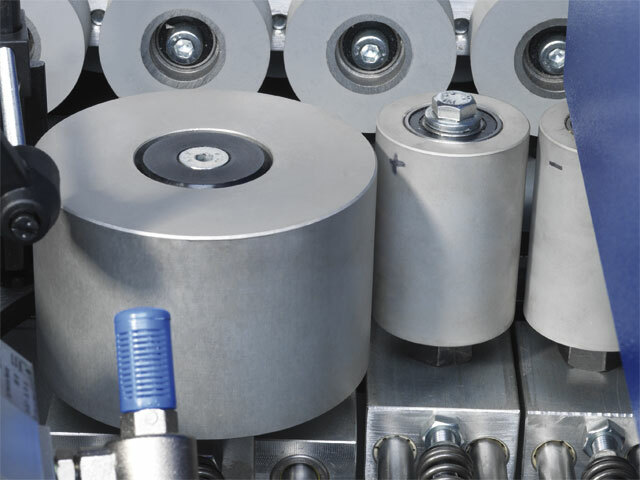 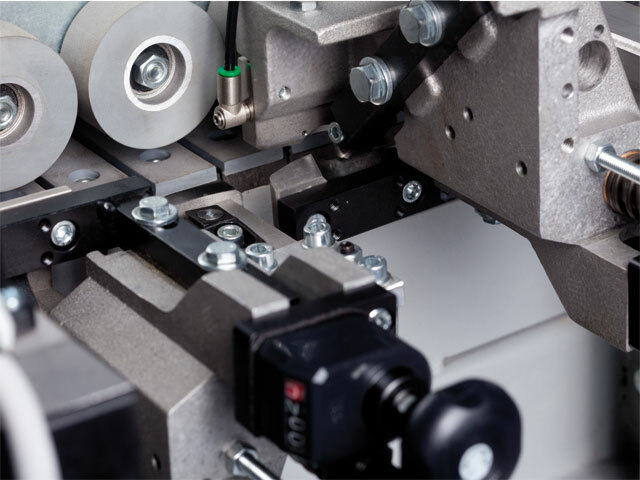 The highly precise linear guides ensure that the twin saw blade cutting unit executes perfect cuts. 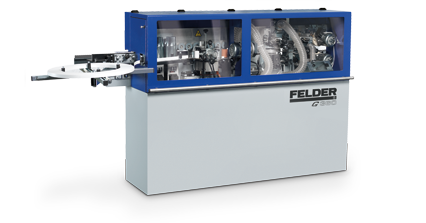 The end cutting saw blades traverse at 45°, ensuring that the cut is tear free. 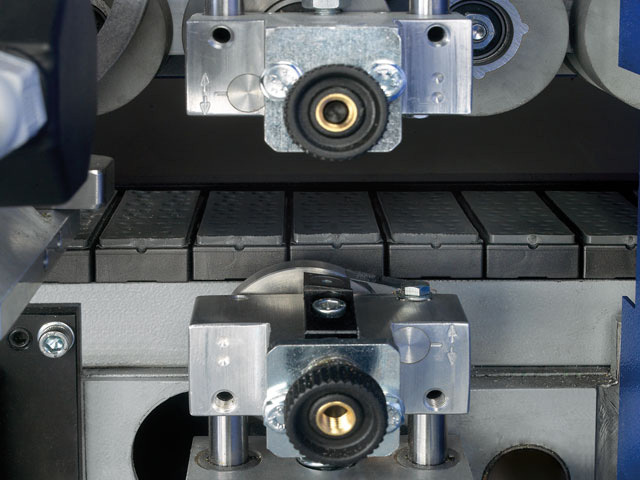 It is possible to set a 20° bevel cut to trim thin edges. 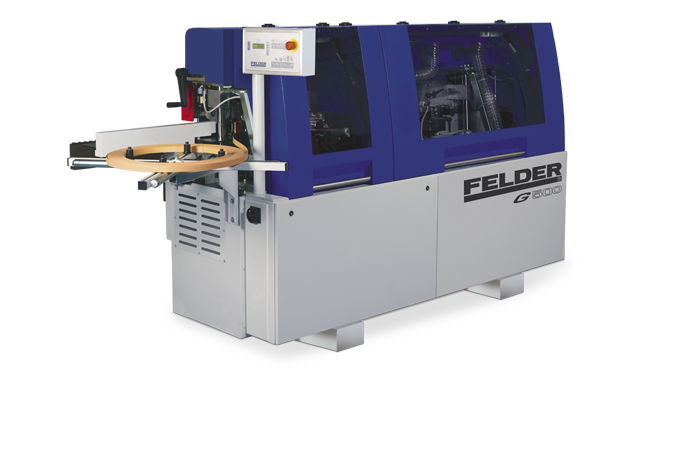 Super finish for ABS- and PVC material. 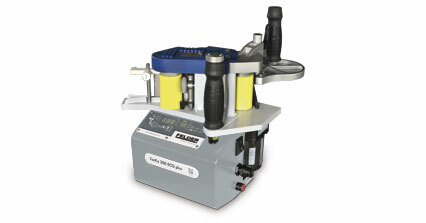 Optional installation of polishing solution spray applicator for the polishing heads.